Why Do Garage Door Cables Slip Off the Drums? / Comments Off on Why Do Garage Door Cables Slip Off the Drums? When a cable slips off a drum, the garage door won’t work. The cables and springs on a door work together, and there’s a great deal of tension on the lines. Sometimes, the cables become wound around themselves and can get caught. Most times, something is bent and needs professional repair. Garage door cables and springs work in conjunction. That tension is dangerous for those who don’t know their way around a garage door. Torsion springs can take your arm off (or at least some fingers). Some garage problems can be repaired by yourself; with cables, that job is best left to a professional. If you notice problems in your garage door cables, call us at (503) 730-0444 or contact us online. We’ll come out and make a quick repair. WHAT CAUSES A CABLE DRUM SLIP? 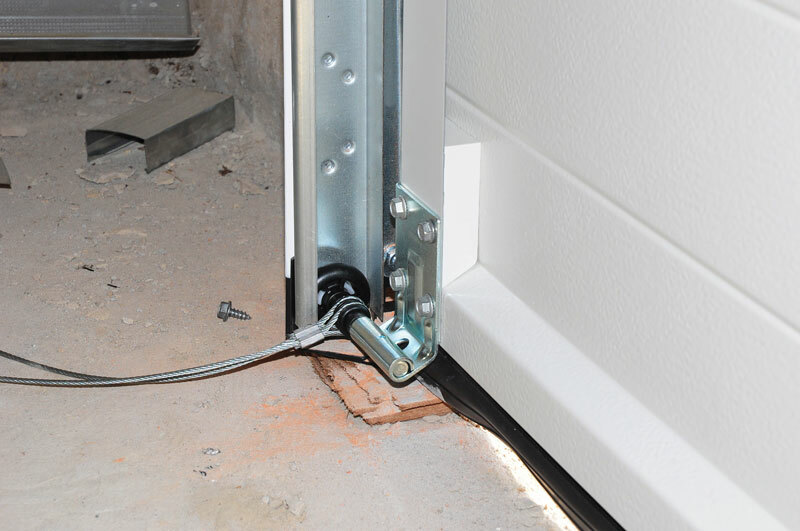 Your garage door opens when the springs apply the right amount of tension to the cables. Properly functioning cables lift the door and spool on the drums. Cables can slip off the rollers. If that happens the cable may appear loose. Busted Torsion Spring: Some garage doors have two torsion springs, but others have just one. If the spring breaks, the cables lose tension and unwind from the drum. The door comes crashing down. A door with two torsion springs is less likely to fall. If one spring fails, the other will hold until you can call us to make repairs. Door Hits an Object: Photo safety eyes and auto-reverse mechanisms keep doors from closing on objects below. If the safeguards don’t work, or if the system is old and doesn’t have these features, a door may come down on a car bumper or other object. If this happens, the cable can go slack on one side as the door rests on the object. It’s a good idea to inspect your door for safety. Spring Has the Wrong Amount of Tension: Different size doors require different amounts of spring tension. Springs are tensioned when they’re installed. An improperly tensioned spring leads to problems with the cables. A spring can have too much or too little tension. A spring that’s too strong will cause cables to jump off the drum. One that’s too weak can cause the cables to unwind. Wrong Size Cable and Drums: Heavier doors require a heavier cable. A cable that’s too small will be under a strain and will fray and break earlier than a cable of the right diameter. Drums need to be chosen according to the height of the door. Taller doors need a larger drum that will hold a longer length of cable. We are a locally-owned business serving Vancouver, WA and Portland, OR, as well as the surrounding areas. We offer fast repairs on almost all issues with your garage.